Do they help you plan it? Do you have any great resources you can share for helping people travel with their kids? What are some of your dream destinations to travel with kids or where do you think is a great destination for family travellers? 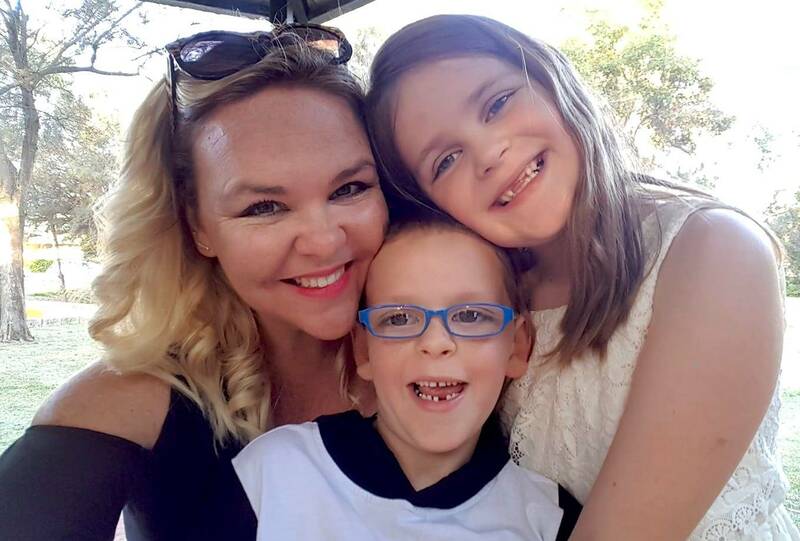 Ever wondered what it would be like to travel with your kids full-time. The Benders have been doing it now for over four years. 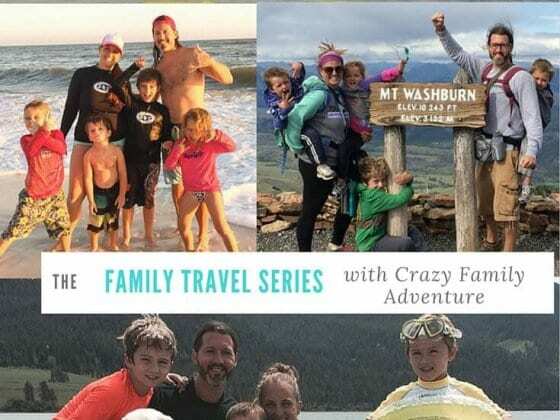 Check out how they’ve made family travel their lifestyle! Travel is our lifestyle, it doesn’t fit in. We left our home in Perth, Australia many moons ago in May 2012 and have been travelling the world nomadically ever since. That’s over 4 years of non-stop travel. Before that we’d take family vacations (usually overseas) at least 2 or 3 times per year. Since we were self-employed our travel schedule was pretty flexible. Mia and Caius were 2 & 3 years old when we left, and now at 6 & 7 they have been to 68 countries. We alternate between fast travel and slow travel. We may spend 1 – 2 months in one area followed by 2 – 3 weeks travelling fast through a few cities. This style gives us a chance to catch our breath and catch up on work. We prefer road trips over flying where possible. We’ll stay in mid-range hotels and sometimes splurge on luxury. Or for longer term stays we’ve done house-sitting or use Airbnb. After spending a whole day of sightseeing we’ll usually opt for an Uber or taxi over public transport. Our luggage is very light as we find travelling with children requires more hands, so less is better. I use to be a real planner, but now that we are on the move all the time I rarely have time to plan. Many times we book hotels the day of arrival while we’re driving. We have been road tripping the United States on our #motherofallroadtrips for a year now and we knew the general route, but sometimes specifics were not fixed until the day before (or day of). For example, I know I want to be in Australia for Christmas, but I probably won’t even look at organising that till around November since there are so many other trips to organise before then. My Dad always taught me the 10/10 80 rule. 10% savings, 10% charity, 80% spending. We try to save no matter where or what we are doing. Since we work on the road it makes travel more viable for us. We also spend around 60% less as full-time travellers than we did living in Perth, Australia. Travel is actually so much cheaper than people realise, especially when you are not paying the double costs of a home plus vacation. As full-time travellers, we make more sacrifices than most. We miss family, friends, having a dog, attending parties and free babysitting. But with every sacrifice comes an even greater reward. The kids love it. Why wouldn’t you when you get to abseil down cliffs in Malta, ride in hot air balloons in Turkey, husky sled through Lapland, visit water parks and theme parks all over the world? Sometimes they mention seeing the grandparents or a friend, and in this day and age, Skype makes that so much easier. We are also lucky enough to have parents that often come find us in our travels and spend time with us – road tripping through Europe, Christmas in New York, and eating our way through Penang, Malaysia. Sometimes my kids are happy just doing nothing and we take that very seriously by slowing down for their sake, as much as ours. But what they love most is the opportunity to be with both of their parents every day. Thankfully our kids are still too young to have too much of an opinion on where we go, but I can sense the shift in that dynamic. 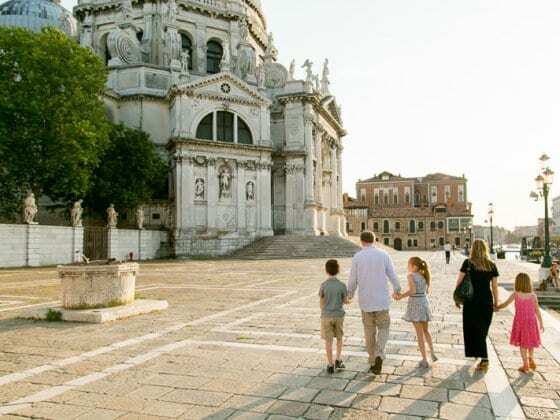 Did you know millennial family travellers let their kids determine their vacations more than any other prior generation? While they might not have a final say we let the make little decisions – where to eat, playground or beach, etc. We also are very mindful of giving them forewarning on our “Mummy & Daddy days” versus “Kids days”. Oh, gee. We have so many. My son broke his wrist falling from a bunk bed in Israel, that was hard. We were pickpocketed during Semana Santa, the Easter festival in Guatemala. But we have more funny stories than horror ones. Like the time my son needed to pee and we were on a speed boat in the middle of the ocean. Boy, was that fun. Or when my daughter loved a wooden roller coaster ride so much she stayed on 5 times and never wanted to get off. But my favourite recent story is when they learned to ski in Jackson Hole, Wyoming. Considering they never grew up around snow, they took to the slopes like fish to water. So good in fact, my husband Josh was demoralised after his feeble first-time effort. Potty training my son was hard work. Since the accommodation was always changing the poor kid never knew where the bathroom was. I actually wrote a post about the challenges of family travel and how they don’t matter in the end. The list included luggage – there is always so much stuff! But we are regularly whittling down our gear to make sure we keep it light. School is another challenge we face for family travel. We don’t have to think about it like most people, which involves taking time off. We have to think about when to fit any school work in. And night travel just doesn’t happen. We don’t see the nightlife anymore because having the kids in bed and happy the next day is more important. Kids see the world in such a beautiful way. Everything is fresh, amazing and awe-inspiring and they reinvigorate their parents’ journey too. I also love getting to know them, spending time with them in these early and precious years. At the same time, I love being with my kids, being with them 24 hours per day, 7 days a week, 365 days a year… well, it can also be trying. The same as the challenges – not going out at night, missing out on activities because of age restrictions and making sure we slow down instead of keeping up the fast pace we would like. However, the upsides far outweigh these drawbacks. This is always a hard question because it really depends on where you are going, how old the kids are, when you are going, and how long you are going for. But just remember to pace yourself. Young kids can’t go all day without making your evening a living nightmare. So take your time, rest, let them play and your vacation will be sweet. Set your kids expectations in advance. If they know they’re going through (what they’d call) a boring museum, give them a light at the end of the tunnel to look forward to such as an ice cream or playground. And we try to avoid screen time when they’re out and about. The purpose of travel is to be absorbed in the moment and electronics can detract from that. There’s always that thought that kids are missing out on things back home. Missing out on normal life like school carnivals and birthday parties. I often ask if the adventure they are having is worth that cost. We feel the children are getting exposure to real life. To real cultures, real animals, and real experiences, rather than just watching them on TV or reading a book. We are hoping travel instills in them a global perspective that allows them to have greater tolerance and love for their fellow man. 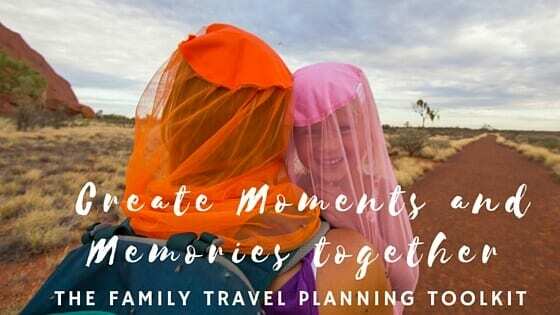 We travel with our kids because it was a passion before we had kids and we couldn’t wait to share this world with them. Travel is great for kids. They are sponges and soak up languages, culture, and information. Our kids watched “The Sound of Music” the day we went on tour in Salzburg, Austria. They learned about tidal systems in eastern Canada which has the highest tides in the world. They learned about the US presidents by visiting Mount Rushmore. It’s an education that’s memorable. We are finding Travelocity to be a great resource for best hotel prices while in the US. We love Google Flights for checking flight prices. Lonely Planet is great at getting the kids ready for a trip with their awesome kids’ books. And blogs. Blogs are the best for experienced people who have gone and done it before you. Finland. They have such a sweet attitude towards children. For example, all mothers travelling with kids under 7 in Helsinki ride public transport for free so they don’t have to worry about getting tickets and taking their eyes off of their little ones. Plus Finland is home to Lapland, which is where the REAL Santa lives. 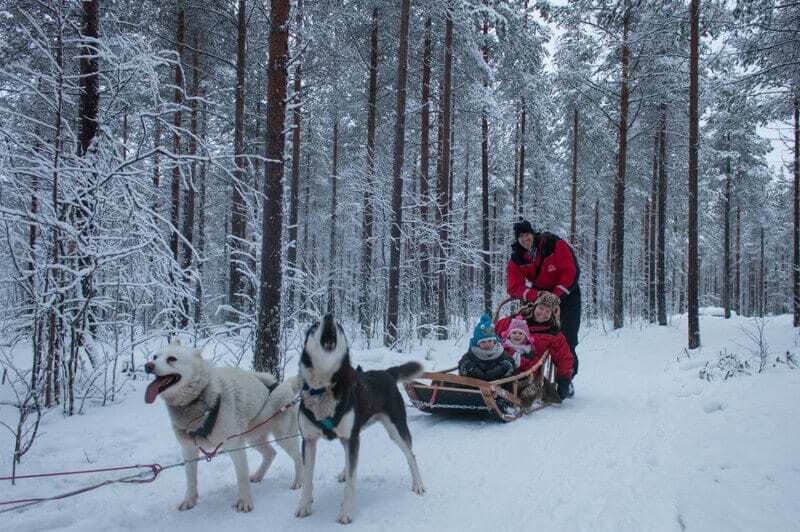 – Read more about things to do in Finland with kids. Bali, Indonesia. The Balinese believe the younger a child; the closer they are to God. And they treat kids with so much love and respect. You can find affordable childcare, fabulously family friendly accommodations and at least 51 things to do. On our bucket list is Iceland, Japan, Costa Rica and, well… the list goes on. Explore with Erin can be found everywhere! There is so much to love in this interview! I am excited to see what the rest of your series holds. I always find it so inspiring to see families traveling together. I hate that myth that once you get married and have children, you can’t go anywhere. It’s actually the best time for them to set off to explore the world! There are so many great stories from amazing people. Thank you for sharing them. I like the idea of traveling as a lifestyle, though my own life is pretty different right now. It would be difficult to change it completely right now, but I am trying to fit travel in my life. but that is way too general. We need something more detailed, interactive, crowd report based. An idea for the next start up, please use it. Great piece – and so inspiring! Thanks for sharing! I like to travel with my family in summer. Great piece and so inspiring!